(REVIEW) EMERSON BY JACKIE FRASER - SWAN SPRING 2014 READY TO WEAR COLLECTION -- TRESEMME X GOGIRL! MAGAZINE CHALLENGE #2 ROAD TO NEW YORK FOR NYFW ! | Ismurfshion. Ismurfshion. 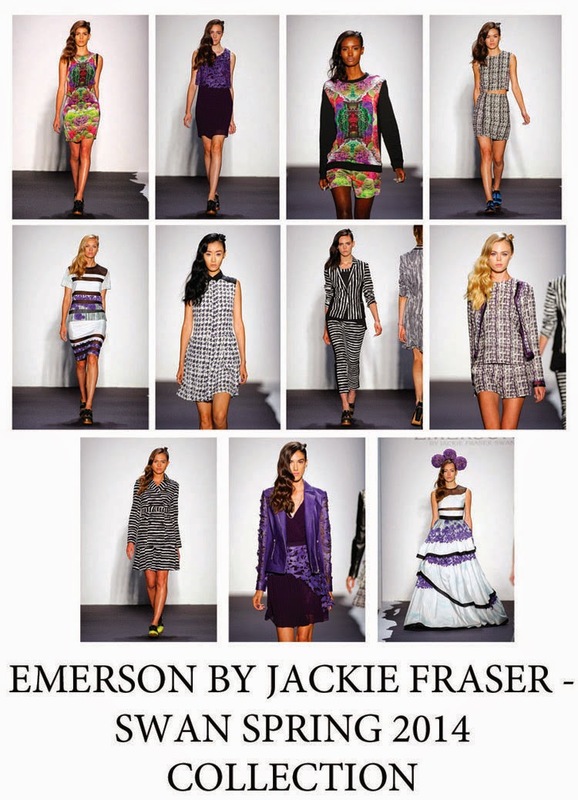 : (REVIEW) EMERSON BY JACKIE FRASER - SWAN SPRING 2014 READY TO WEAR COLLECTION -- TRESEMME X GOGIRL! MAGAZINE CHALLENGE #2 ROAD TO NEW YORK FOR NYFW ! (REVIEW) EMERSON BY JACKIE FRASER - SWAN SPRING 2014 READY TO WEAR COLLECTION -- TRESEMME X GOGIRL! 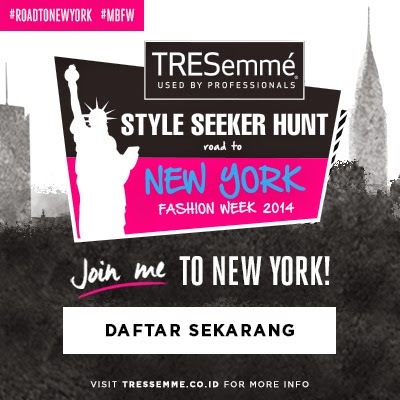 MAGAZINE CHALLENGE #2 ROAD TO NEW YORK FOR NYFW ! Each season, EMERSON owner and designer Jackie Fraser-Swan mixes contrasting elements such as rock with romance, sweetness with edge, punk with florals – creating a signature aesthetic for the brand that has put EMERSON on the international fashion map. Headquartered in the heart of Boston’s elite Newbury Street shopping district, EMERSON uses high-end, quality fabrics and manufactures domestically in New York City. After attending the School of Fashion Design in Boston, MA, Fraser-Swan founded her label and delved straight into the industry. Following the runway debut of her collection at Mercedes-Benz New York Fashion Week for Spring 2012, Fraser-Swan was deemed worthy in the eyes of the media – featured in local news and on the cover of the Boston Globe, as well as heralded by powerhouse national media outlets including CNN, Elle, Harper’s Bazaar, Teen Vogue and Women’s Wear Daily. How I really love this collection, those floral pattern dress and minimalist color such as black and purple, white and black, stripes, it's so classic, elegant and gorgeous. I also love how EMERSON chanelling outfit with crop top and skirt, so so summer and the best things is, it's ready to wear collection, my favorite outfit from EMERSON is those floral pattern dress and the purple leather jacket, the leather jacket look so cool because it's full of flower, and hei, it's purple! I never wearin purple outfit but when I saw this collection, all the collection.. so eye catching, I couldn't resist it. So, which one is your favorite? Inspired by EMERSON spring 2014 ready-to-wear collection, I wore my floral dress too and mix it with my black blazer. Good luck for NY, you look great in this printed number! Love this dress and you look beautiful! I like that you wear it with floral crown! and your look is lovely and fresh ,perfect for summer ! lovely print dear, good luck btw! The floral dress is to die for!! I Love it!